Artist Alley at comic-con is a place for well known and independent artist sell their work to comic-con enthusiast. Photo Credit: Jessica Lau. 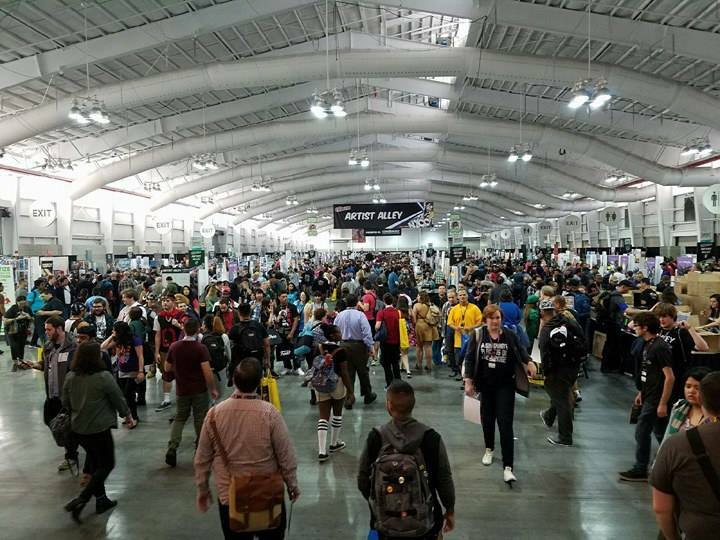 Comic book fans dressed up as Harley Quinn, Deadpool and Pikachu ran toward the Jacob K. Javits Center. In front, a long line wrapped around the convention center. 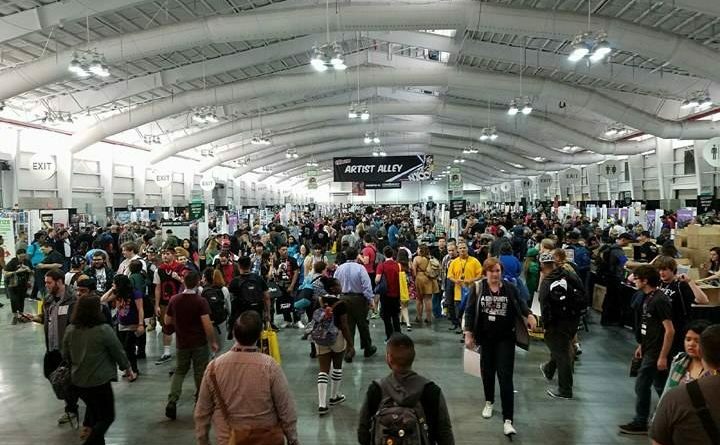 The main entrance welcomed excited fans with an enormous banner with large block letters to this year’s New York Comic Con 2016. Comic Con, which is held every year internationally, contains a large variety of popular media. While waiting in line, there were Yu-Gi-Oh badge straps and free Wonder Woman comics along with various superhero pins. Some local Queens Anime fans said they were excited about this year’s presentation. But this year fans had to verify their identity via e-mail to get notified for a ticket. At the ticket booth, fans scanned their badges for a chance to win a prize. Comic Con also has an artist alley to promote local artists and for consumers to buy art prints at an affordable price. Every year there is a panel discussion on upcoming or established movies, manga, books and television. Major panels and special screenings are provided for the fans where they can get a chance to interact with their favorite characters. At the Marvel/ Netflix panel, Marvel’s Iron Fist and the Defenders was one of the largest and popular panels starring Finn Jones as Danny Rand also known as Iron Fist. Fans of the Resident Evil franchise had a viewing of the trailer for the final installment featuring the final showdown of Alice and the Red Queen. Attendees also had the chance to meet their favorite stars from the big screen for autographs or photo-ops for forty dollars. The 2016 panels concluded with the highly anticipated movies Power Rangers, The Walking Dead, Shadow Hunters, DC Comics, Stranger Things, Once Upon A Time, Teen Wolf and Gotham. One of the photo worthy displays was of Wonder Woman’s armor and Steve Rogers’ clothes. This promoted the upcoming highly anticipated Wonder Woman movie set to release in June 2017. The movie will be starring Gal Gadot as Wonder Woman, Chris Pine, Robin Wright and Connie Nielsen. Jamaica resident Sharon Johnson said she is pleased with the new costume design.